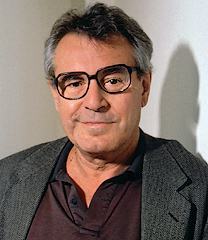 Directors Guild of America President Taylor Hackford announced Milos Forman will receive the Guild’s top honor, the Lifetime Achievement Award for Distinguished Achievement in Motion Picture Direction, at the 65th Annual DGA Awards on Feb. 2, 2013. The DGA Lifetime Achievement Award winner is selected by the present and past presidents of the Guild. In the Guild’s 76-year history, only 33 other directors have been recognized with the honor (see the list below). “One Flew Over the Cuckoo’s Nest” became only the second film in history to sweep the top five Academy Award categories in one year. In 1973, producers Michael Douglas and Saul Zaentz contacted Forman about directing “One Flew Over the Cuckoo’s Nest,” which garnered Forman his first DGA Award, five Academy Awards including Best Director, and four additional nominations. Forman next turned long-running musical “Hair” into a feature film and followed that with “Ragtime,” which was nominated for eight Academy Awards. In 1984, “Amadeus” brought more critical acclaim, a second DGA Award and eight Academy Awards, including Best Director and Best Picture. Forman’s most recent films include” “Valmont”; “The People vs. Larry Flynt,” for which Forman received his third Academy Award nomination for Best Director; “Man in the Moon”; and “Goya’s Ghosts.” He also spent many years teaching and running the film studies program at Columbia University. Forman joined the DGA in 1970 and served two terms on the National Board. A longtime champion of artist’s rights, Forman became personally involved with the issue of unauthorized film alteration after his film version of “Hair” was broadcast with half of its musical scenes removed without his authorization. He was a Charter Benefactor of the Artists Rights Foundation, a Governor of the Artists Rights Education and Legal Defense Fund Council at The Film Foundation, and a member of the DGA President’s Committee on Film Preservation. In 2009, Forman gave the keynote address at the CISAC World Copyright Summit in Washington, D.C. on behalf of the DGA expressing concern about how rampant digital theft would impact the ability of artists to be compensated for their work. Forman was awarded the John Huston Award for Artists Rights in 1997 and the DGA Honor in 2008. The award will be presented at the 65th Annual DGA Awards Dinner on Saturday, Feb. 2, 2013, at the Ray Dolby Ballroom at Hollywood & Highland in Los Angeles.